Food as fuel is critical for peak performance on the court. That’s why post-game recovery is important for sustained and improved performance. How you treat your body off the court greatly impacts how it responds on the court. 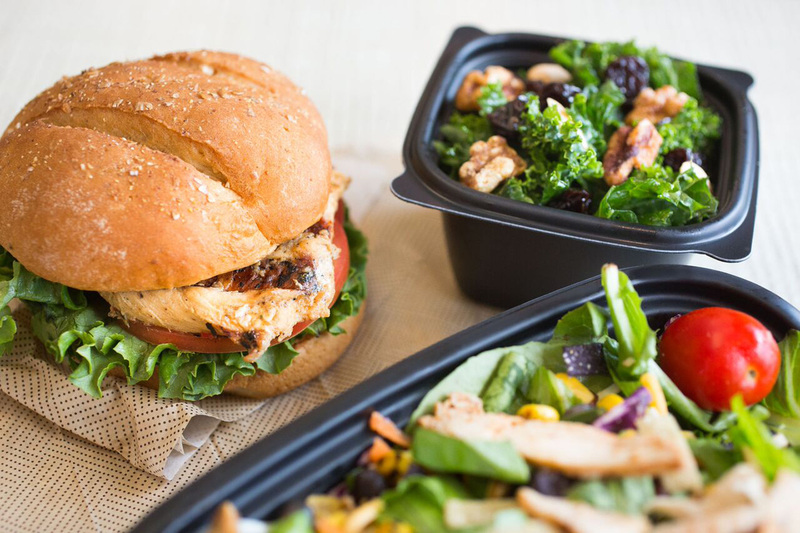 After the final buzzer, experts advise eating a variety of different food sources packed with both carbohydrates and protein – all of which you can find on the Chick-fil-A menu. Egg White Chicken Grill: With 25 grams of protein and just seven grams of fat, this rookie to our breakfast menu is a great way to start the day after a morning practice session on the court. 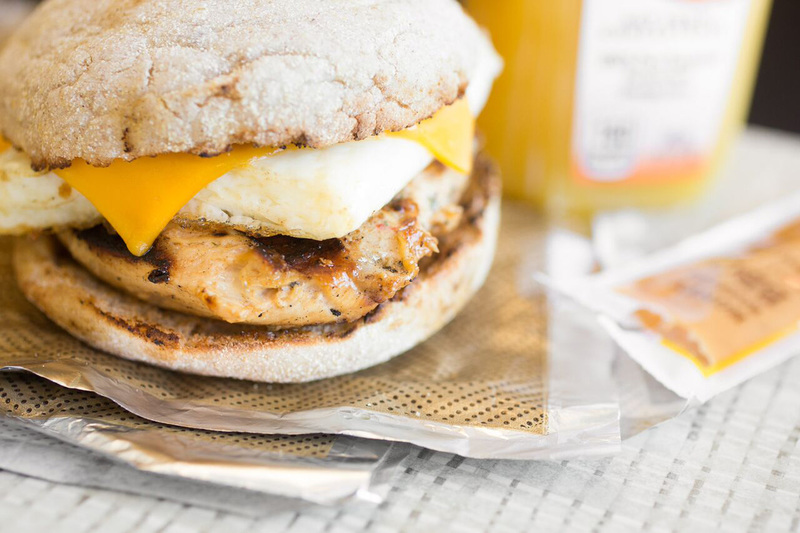 The sandwich includes a breakfast portion of grilled chicken with a hint of citrus flavor, stacked with freshly cooked egg whites and served on a toasted multigrain English muffin. Add a Greek Yogurt Parfait for an extra dose of protein (12 grams) and carbs (29 grams). 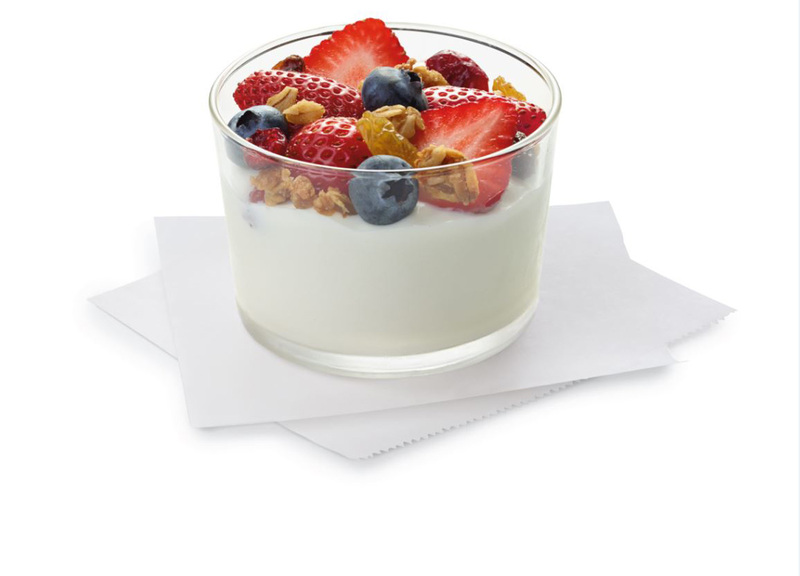 The vanilla Greek yogurt topped with fresh strawberries, blueberries and granola will add some pep to your step. Hash Brown Scramble Bowl: The Hash Brown Scramble Bowl is another lay-up for earlier risers looking to feed their muscles. 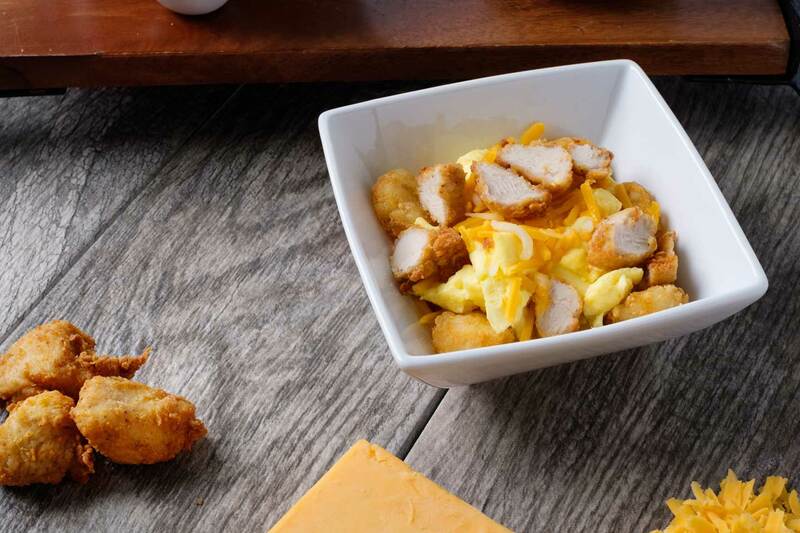 Featuring 31 grams of protein and 21 grams of carbs, the breakfast bowl includes Chick-fil-A nuggets, crispy hash browns, scrambled eggs and a blend of Monterey Jack and Cheddar cheeses. Follow it up with our 1% Chocolate Milk for some extra protein! Grilled Chicken Sandwich: A great option for lunch or dinner, the Grilled Chicken Sandwich features a marinated and grilled boneless breast of chicken served on a multigrain bun with lettuce and tomato. This nutrient-rich entrée delivers 36 grams of carbs, 29 grams of protein and only six grams of fat. Looking for a side to complete your meal? Consider the Superfood with Broccolini®, kale, maple vinaigrette, dried sour cherries and a roasted nut blend. Grilled Chicken Cool Wrap: The ultimate protein-packed lunch or dinner entrée, the Grilled Chicken Cool Wrap is made with sliced grilled chicken, lettuce, red cabbage, carrots and a cheese blend wrapped in flaxseed flour flatbread. Its 37 grams of protein makes the wrap a slam dunk food item for your tired muscles and helps you prepare for the next day on the court. Pair it with a zero fat, nutritious fruit cup for some added healthy carbs and vitamins. The best part – it’s never been easier to run a fast break off the court. 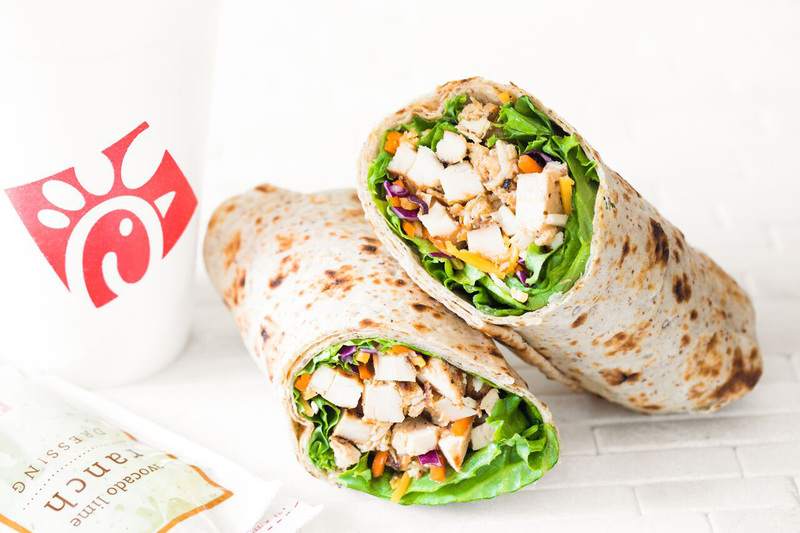 You can grab-and-go with Chick-fil-A’s mobile app, Chick-fil-A One. 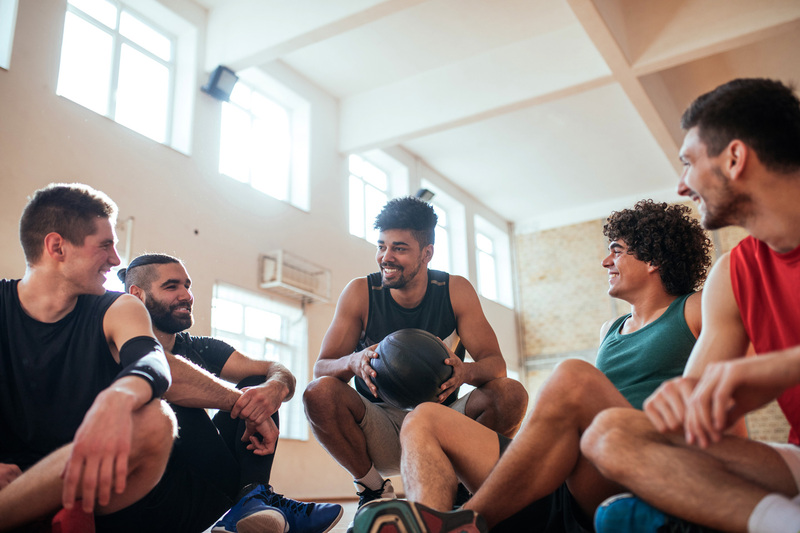 And a quick and easy way to refuel means all you need to worry about is practice, so it’s nothing but net the next time you’re out on the court!